For more than 15 years we have been delivering orders to middle-aged fans. A huge number of completed and delivered orders - speaks for itself. Each new point on this map is the best praise of our work. This model of norse armor is dated by VI-XIII centuries, thus classified as Early medieval gamb..
We designed this model of gambeson specially for women. 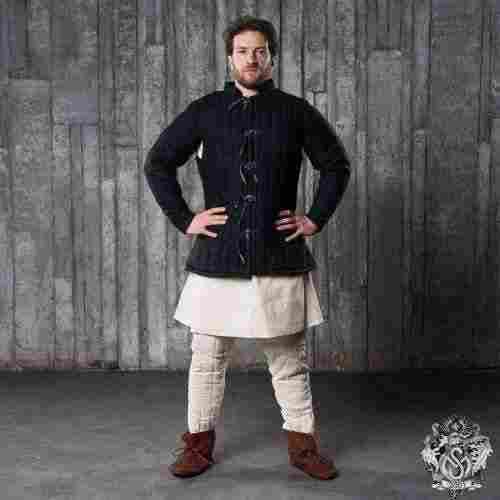 Womens gambeson is not historically correct.. 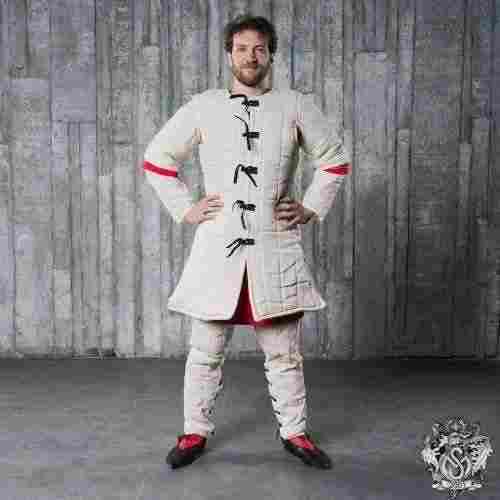 Medieval gambeson or Middle English gambison also known as g..
Armory World is a subsidiary brand of Steel Mastery, a manufacturer of custom-made medieval armour and clothes, well-known for its high quality products for historical re-enactment and medieval combats. Steel Mastery has been in the market since 2001 and now continues to serve its clients from all over the world. So why did we decide to create another brand? Steel Mastery produces custom-made products, which means longer manufacturing times and higher prices. We analyzed the feedback from our customers and realized that a large portion of them have needs that require a different approach from us. Not everyone is willing to wait weeks and pay extra for their custom-made items. Many just want their orders delivered fast and don't need any customization.